In a blender or food processor, process the extra virgin coconut oil, lemon juice, onion, garlic, ginger, cilantro, paprika, salt, and pepper until smooth. Reserve a small amount for basting. Pour the remaining mixture into a dish, add shrimp, and stir to coat. Cover, and refrigerate for 2 hours. Lightly oil grill grate. 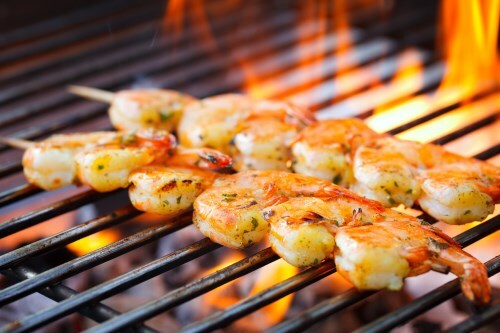 Grill shrimp for 2 to 3 minutes per side, or until opaque. Baste with reserved sauce while cooking.